Mount Buller is a town located in the Shire of Mansfield in the Alpine region of the Australian state of Victoria. To see traveler tips, more things to do, other places to visit, and tourist information, read Mount Buller travel itinerary planner. Singapore, Singapore to Mount Buller is an approximately 14.5-hour flight. Due to the time zone difference, you'll lose 2 hours traveling from Singapore to Mount Buller. You'll set off for Port Campbell on the 29th (Sat). Port Campbell is a coastal town in Victoria, Australia. Explore hidden gems such as Mariners Lookout and The Arch. Step out of Port Campbell to go to Beech Forest and see Triplet Falls, which is approximately 1:10 hours away. There's lots more to do: relax in the rural setting at Apostle Whey Cheese, identify plant and animal life at Great Ocean Road Wildlife Park, explore the activities along Bay of Martyrs, and admire all the interesting features of Berry World. For traveler tips, maps, other places to visit, and more tourist information, go to the Port Campbell travel itinerary planner. Use the Route module to find suitable travel options from Mount Buller to Port Campbell. Finish up your sightseeing early on the 3rd (Wed) so you can travel to Melbourne. 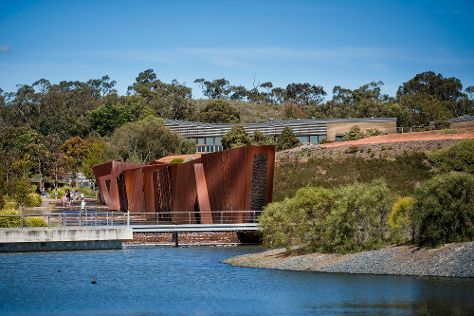 Kick off your visit on the 3rd (Wed): admire the natural beauty at Royal Botanic Gardens Cranbourne, admire the natural beauty at National Rhododendron Gardens, and then tour the pleasant surroundings at Werribee River Park. On the 4th (Thu), you'll have a packed day of sightseeing: examine the collection at The Ian Potter Centre: NGV Australia, see the interesting displays at National Sports Museum, then enjoy some diversion at AAMI Park, and finally explore and take pictures at Royal Exhibition Building. For where to stay, more things to do, and other tourist information, use the Melbourne trip generator. Explore your travel options from Port Campbell to Melbourne with the Route module. May in Melbourne sees daily highs of 19°C and lows of 9°C at night. Finish your sightseeing early on the 5th (Fri) to allow enough time to drive to Summerlands. On the 5th (Fri), learn about winemaking at Phillip Island Vineyard & Winery, then do a tasting at Purple Hen Winery, then relax in the rural setting at Phillip Island Nature Parks - Churchill Island Heritage Farm, and finally take an unforgettable tour with a helicopter tour. Here are some ideas for day two: pick up a one of a kind souvenir at Cowes Bazaar & Gallery, relax and rejuvenate at some of the top local wellness centers, and then explore and take pictures at Phillip Island Grand Prix Circuit. To see photos, other places to visit, traveler tips, and tourist information, read our Summerlands online itinerary creator. You can drive from Melbourne to Summerlands in 2 hours. In May, daily temperatures in Summerlands can reach 20°C, while at night they dip to 8°C. Wrap up your sightseeing by early afternoon on the 7th (Sun) to allow enough time to travel back home.